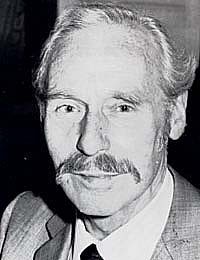 Dennis Fry was the leading British experimental phonetician of the third quarter of the twentieth century. In 1934, after an early career as a teacher of modern languages, he was appointed Assistant Lecturer in the Phonetics Department of University College London (UCL), then the only university phonetics department in the UK and headed by Daniel Jones (q.v.). Apart from the war years, which he spent in the acoustics laboratory of the RAF Central Medical Establishment, he remained at UCL throughout his career. He became Superintendent of its Phonetics Laboratory at the age of thirty, and in 1949 succeeded Daniel Jones as Head of Department. He was appointed Professor of Experimental Phonetics in 1958. He gave up the headship of the department in 1971 and retired in 1975. Despite some early work of a type more readily associated with the Daniel Jones school (Fry and Kostić, 1939), Fry's principal interest was experimental phonetics. His scientific career started in an era when the equipment of a modern phonetics laboratory included sensitive flames and mechanical kymographs. It culminated in the era of the mini-computer. The 1940s and 1950s had seen the birth of information theory and of important developments in electronics, including the earliest electronic computers. Together with new signalling processing techniques such as the Vocoder, this led to a growth of interest in experimental phonetics. For the first time automatic recognition and synthesis of speech began to seem feasible. Fry, with a wide interdisciplinary knowledge and an awareness of linguistic aspects of speech not always shared by those educated solely in the scientific tradition, saw that an understanding of the speech process would involve not only acoustic aspects but also psychological, perceptual, and linguistic analysis. He was the first to experiment with automatic speech recognizers using not only acoustic but also linguistic cues. To linguistic phoneticians, who tended to be naïve about the physical aspects of speech, Fry demonstrated the importance of laboratory experimentation. One of his best-known achievements was to demonstrate that stress in English words is perceived not mainly as a consequence of loudness (as American structuralists assumed) but of spectral (pitch) and temporal (duration) characteristics. To the experimentalists he insisted that - given the robustness of human speech perception under extremes of distortion and noise - communication could not be dependent solely on acoustic cues. In 1958 he founded the scholarly journal Language and Speech, of which the Oct-Dec 1978 issue comprises essays in his honor and includes a list of his publications. From 1971 he was President of the Permanent Council responsible for organizing the International Congresses of Phonetic Sciences. Fry was an excellent singer and involved in semi-professional singing throughout his life. In 1966 he became a governor of the Sadlers Wells Foundation. One practical application of Fry's work was in relation to the hearing-impaired: his book The Deaf Child (with E. Whetnall), first published in 1964, is still in print. Formal retirement did not mean that Fry stopped working. On the contrary, the books for which his name is most widely known were written after his retirement: Homo Loquens (1977) and The Physics of Speech (1979). Denes, P. (1983). 'Professor Dennis Butler Fry'. Language and Speech 26, 201-202. Fry, D.B. (1955). 'Duration and intensity as physical correlates of linguistic stress'. Journal of the Acoustic Society of America 27, 765-768. Fry, D.B. (1958). 'Experiments in the perception of stress'. Language and Speech 1, 126-152. Fry, D.B. (ed.) (1976). Acoustic phonetics: a course of basic readings. Cambridge: CUP. Fry, D.B. (1977). Homo loquens: man as a talking animal. Cambridge: CUP. Fry, D.B. (1979). The physics of speech. Cambridge: CUP. Fry, D.B. and Kostić, Đ. (1939). A Serbo-Croat phonetic reader. London: University of London Press. Wells, J.C. (1983). 'Obituary: D.B. Fry'. Journal of the International Phonetic Association 13, 60. Whetnall, E. and Fry, D.B. (1964). The deaf child. London: Heinemann. born Stockbridge, Hants., 3 November 1907; died London, 21 March 1983.